Everything you need to know about Delaware Mobile Homes Silver View Farms a vibrant community! Located in Rehoboth Beach, Delaware, Silver View Farms is an ideal location for anyone looking for a mobile home. Just two miles from the beach and minutes away from dining, shopping, and entertainment, this is one of the most desirable communities on the market. See all Delaware Mobile Homes Silver View Farms for sale! Silver View Farms is locally owned and operated and is a family business, owned by James S. Truitt Jr. The community was originally established in 1974 and has been thriving ever since. This growing community has been a very popular choice for many moving into the area. 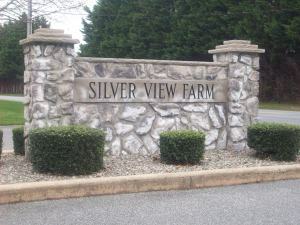 Silver View Farms offers affordable luxury for everyone in the community. The site has 148 stunning homes to choose from including single and double-wide homes. It offers regular maintenance, security surveillance, private driveways, a pond view, and much more than a typical mobile home community. If you’re looking for a sense of community in a beautiful setting, this is the place for you. Enjoy services you may not get elsewhere such as garbage collection, snow removal, and a swimming pool for the community to use. Outside of the community you can easily walk or bike to the beach, shopping centers, restaurants, and more. There is a home for any budget in this community. Stunning mobile homes start at just $15,000 and go up to $80,000 depending on what you’re looking for. This community is extremely accommodating and welcoming. The management will help you get into a home no matter what your circumstances are. Whether you’re looking for a standard single-wide or an extravagant, state of the art double-wide, this community has exactly what you need. If you purchase a new home, you will get a turn-key package, which consists of optional features that go along with the house. This includes permits, surveys, DMV transfer tax, central air installation, and much more. Also included in this fantastic package is a full 15 month manufacturer’s warranty on the home – if anything goes wrong, it’s completely covered. A perk of buying a beautiful new home in this community is that there are no closing costs or commissions to pay, saving you even more money. For those of you looking for a new mobile home in an up and coming area, Silver View Farms in the place for you. Located near the beautiful beach as well as plenty of entertainment opportunities, this community offers luxury at an affordable price. Contact them today to see what affordable homes they have to offer.